It’s no secret that, throughout the year, nonprofit organizations fight a particular battle in order to meet its goals. It can be incredibly tough to get the right funding given that there are innumerable worthy causes and just a limited number of revenue streams. With competition for resources fiercer than ever, how does one ensure their organization gets the funding it needs? Chief Stephen O. Nwankwo Children’s Literacy Foundation International Incorporated, a non-profit organization in Houston Texas, sets out to help the underprivileged youth of Nigeria, so they may be able to acquire proper healthcare and education en route to the future they deserve. For those of you who are fighting for these and other similar causes, don’t hesitate to put the following tips to good use. Getting enough funding for your cause requires you to build the right brand. People need to know who you are; they need to know who they’re supporting. What kind of presence have you established in the nonprofit community? Sponsors and investors contribute resources to organizations whose mission, vision, and goals they can identify with. Build a brand and stick by it. Show the world what you’ve achieved. While being modest is admirable, it’s not likely to give your organization the financing it needs. In this case, you should definitely learn from other e-commerce businesses. Tell the people what you plan on doing, do it, and show them the results. It would be much easier to attract sponsors and investors if you make a spectacle of how you’re carrying out your organization’s mission and vision. This is easily one of the best ways to create a sustainable non-profit model. It allows donors to submit their contributions whenever they want. 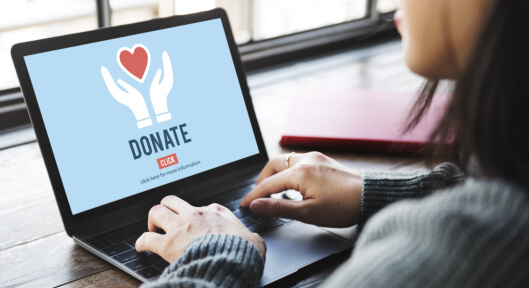 Providing donors easier and more convenient ways to donate will really keep those contributions flowing throughout the year. Ventures should align with your mission and vision. For instance, Literacy Foundation International Incorporated in Houston Texas, USA aims to improve the lives of the Nigerian youth by providing education, health care, and grants. Your ventures should be consistently aligned with your mission in order to draw in unrestricted funds. This is a great way to get donors to support your organization’s purpose. When a cause is dear to your heart, you have to go all out in order to get the right resources and funding. Partner with Chief Stephen O. Nwankwo Children’s Literacy Foundation International Incorporated in our quest to build better lives for our Nigerian brothers and sisters. Don’t hesitate to get in touch with a representative of our organization today. You’re also more than welcome to donate by filling out the online donation form found on our website. This entry was posted in Nonprofit Organization and tagged Education, funding, healthcare, non-profit model. Bookmark the permalink.